1. Walk the street: There are art walks all over town, from First Friday in downtown Phoenix and the Scottsdale Artwalk every Thursday to monthly events in Mesa and Chandler. These events always provide interesting art, great people-watching and — if you get there early enough — drinks and snacks. What’s not to like? 2. Meet the author: We’re very fortunate to have two top-tier independent bookstores in town: Changing Hands in Tempe (and soon, Phoenix), and The Poisoned Pen in Scottsdale. Both stores draw fantastic authors to the Valley on a regular basis. Special events like the Brandeis National Committee Book & Author Luncheon also offer readers a chance to interact with their favorite authors. This year, instead of just reading books, I’m going to go hear the people who write them. 3. Get out of town: There are interesting things to see all over Arizona, from the prestigious Center for Creative Photography at the University of Arizona in Tucson and the Desert Caballeros Western Museum in Wickenburg to the monthly art walk in historic Jerome and the Tlaquepaque Arts & Crafts Village in Sedona. The summer is the perfect time to head out for a higher altitude and a new experience. 4. Sit in the dark: I’m a huge movie buff, and Valley film festivals are a great way to see independent, foreign and hard-to-find pictures. Our own Greater Phoenix Jewish Film Festival is celebrating its 18th year in February and has a great lineup planned. Other festivals that always have fantastic selections are the Phoenix Film Festival, held in April, and the Scottsdale International Film Festival in October. 5. Try something new: I’ve lived in the Valley for more than 20 years and there are still museums I’ve never visited and theater companies I’ve never patronized. This year, I’m going to broaden my horizons a bit and try out some new places. 6. Save when I can: All this culture has the potential to get expensive, but there are a number of ways to have fun on the cheap. The Act One Culture Pass program is still available at local libraries; check out a pass for one of 15 Valley cultural attractions, and you get free admission for two or four people for a week. Institutions like Phoenix Art Museum and Scottsdale Museum of Contemporary Art offer free admission on certain days, while others, like the ASU Art Museum, are always free. There’s a lot to see for very little money if you know how to do it. 7. Splurge when necessary: Some cultural experiences are expensive, and there’s no way around it, but I need to remember that a ticket price doesn’t just buy a few hours of entertainment — it buys a memory and an experience that has the potential to stay with me forever. Some 2014 performances I have my eye on are “The Gershwins’ Porgy and Bess” at ASU Gammage, and the APS Pops series at Phoenix Symphony, which includes tributes to Marvin Hamlisch, the Academy Awards and the music of James Bond. 8. Take advantage: There is so much to do and see in town, and very little of it stays around for very long — movies close, plays leave, exhibitions end. In the coming year, I’ll be devoting myself to taking advantage of all the Valley has to offer. The Sept. 21 Scottsdale premiere of the documentary “Road to Eden” wasn’t the end of the journey for director Doug Passon — it was only the beginning. The day after the sold-out screening at the Valley of the Sun Jewish Community Center, Passon went to St. Louis to show the film to the congregations who were featured in it. A few weeks after that, he headed to Dothan, Ala., another town included in the movie, for another screening. Passon’s ambitions for the film include more than screenings at synagogues and Jewish community centers — he’s submitted “Road to Eden” to more than 25 Jewish film festivals around the country and already been accepted to two of them. In March 2014, “Road to Eden” will be the closing night film of the Seattle Jewish Film Festival; a concert by Dan Nichols & 18 (the band featured in the film) will be held after the screening. The other film festival screening is a little closer to home, at our very own Greater Phoenix Jewish Film Festival. “Road to Eden” will be shown at 3 p.m. Sunday, Feb. 23, 2014, at Harkins Camelview 5 Theatres. Visit gpjff.org for tickets. The next big event for “Road to Eden” is at a place close to Passon’s heart: URJ Goldman Union Camp Institute in Zionsville, Ind., a location featured in the film and the place where Passon met his friend and collaborator Dan Nichols decades ago. The camp “is the place where our Jewish identities were forged,” Passon says. The Dec. 7 event is called “Road to Ethan,” as the screening will serve as a fundraiser for the family of Ethan Kadish and the HelpHOPELive Great Lakes Catastrophic Injury Fund. Ethan is one of three campers who were struck by lightning last summer at the camp; he is the only one that has not fully recovered and requires ongoing medical care. “It’s going to be an amazingly special and emotionally charged night,” Passon says. For more information on Ethan or to donate, visit guci.urjcamps.org/ethan. For more information about “Road to Eden,” visit roadtoedentour.com. As a journalist, I spend a lot of time in front of my computer, so it’s nice when an assignment gets me out of the office for a bit. It’s even nicer when the destination is The Phoenix Zoo on a beautiful autumn afternoon. I was there to meet Yehuda Bar, the director of the Zoological Center of Tel Aviv-Ramat-Gan in Israel. Bar, who has been the director of the zoo for 17 years, is here for a two-day visit to The Phoenix Zoo, during which he’ll tour The Phoenix Zoo’s various facilities, including the Joyce Corrigan Memorial Animal Care Center, the Conservation Center and the Wild Science Workshop. The purpose of the visit is for Bar and Bert Castro, President/CEO of the Arizona Zoological Society/Phoenix, to share ideas and to continue to build the relationship not just between the zoos, but the cities — Phoenix and Ramat-Gan are Sister Cities. Castro and a number of other Valley representatives, including Phoenix Vice Mayor Michael Johnson, visited Ramat-Gan last year to help celebrate its 90th anniversary; a visit to the Zoological Center of Tel Aviv-Ramat-Gan was part of the itinerary. During my interview, Bar and Castro spoke about what they hope to learn from each other, the challenges that zoos face and the importance of zoological parks. Want to know more? Read my article in the Nov. 1 issue of Jewish News. I look forward to the end of summer for so many reasons (most of which have to do with my aversion to living in a oven approximately five months a year), but the halfway mark in September is also a typical starting point to the arts and culture season. The 2013-14 season has a number of events of Jewish interest, starting with Scottsdale Desert Stages Theatre’s production of “The Diary of Anne Frank,” which opens tomorrow in their intimate Actors Café performance space. Desert Stages will also do “Fiddler on the Roof” in January 2014. Visit desertstages.org. Scottsdale Center for the Performing Arts is bringing the man behind George Costanza to Phoenix for one night only: “An Evening with Jason Alexander and His Hair” comes to town on Oct. 26. Also at SCPA, Dec. 3 marks the season premiere of “Keyboard Conversations” with Jeffrey Siegel; the piano-and-commentary series will take on Beethoven and Schubert this season, among other topics. Visit scottsdaleperformingarts.org. If comedy is more your thing, you can catch a number of Jewish comics at local clubs in the coming months: Pauly Shore (yes, he’s Jewish) will be at the Tempe Improv Oct. 17-20, as will Comedy Central roaster extraordinaire Jeff Ross (Nov. 8-10). Visit tempeimprov.com. “30 Rock” alum Judah Friedlander will be at StandUp Live! in Phoenix Nov. 14-16. Visit standuplive.com. Finally, for movie buffs with deep pockets, there are still a limited number of tickets available for what will undoubtedly one of the coolest events in recent memory: composer John Williams’ benefit concert with the Phoenix Symphony. Williams will take the stage to conduct the orchestra in some of his famous film scores — “Star Wars,” the Indiana Jones movies, “Jaws” and “Schindler’s List” are a just a few of them — while scenes from the films play in the background. The other special guest of the evening is Steven Spielberg, nice Jewish boy, former Valley resident and Williams’ constant collaborator. The $500 price tag is a small price to pay to watch two Hollywood legends work their magic, right? Visit phoenixsymphony.org. And for the trivia-minded among you, here’s a question: Williams has scored every Spielberg film since 1974 except for one — which one? It’s a foreign concept today, but once upon a time, U.S. politicians from both sides of the aisle came together to pass legislation that forever changed the course of America. True, the path to the ratification of the 13th Amendment was paved with cronyism, back-room deals, coercion and truth-stretching, but it was worth it, because we got the abolishment of slavery out of it, right? 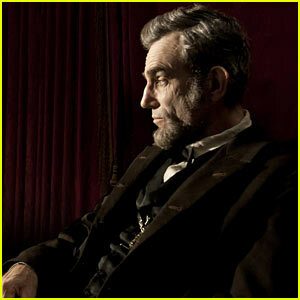 That’s the message in “Lincoln,” the soul-stirring new biopic by Steven Spielberg. “Lincoln,” based partially on Doris Kearns Goodwin’s nonfiction book, “Team of Rivals: The Political Genius of Abraham Lincoln,” covers the final months of President Abraham Lincoln’s life, beginning in January 1865. At that time, as the Civil War waned, Lincoln, played by Daniel Day-Lewis, finds himself in a dilemma: Lincoln, who wants the 13th Amendment to pass because he believes in it, is portraying it as a way to end the war. However, the war is close to ending anyway, and Confederate emissaries are on their way to Washington to discuss a negotiated truce. If the war ends before the amendment is voted on, it will surely fail, because a lot of the country and its Congress don’t actually want blacks to be legally equal to whites. But if Lincoln and his political allies can hold off the Confederate negotiators and turn enough votes their way before the deadline, they’ll make history. Anyone who paid attention in history class knows what happened, of course, but it doesn’t really detract from the sense of urgency in the movie, which does a really good job of making political debate among men with waistcoats and beards compelling and entertaining. Tony Kushner’s script includes both moving speeches by men passionate about their political positions and plenty of amusing 19th-century insults. I can’t overstate the quality of Daniel Day-Lewis’s performance. Like he usually does for his roles, Day-Lewis did extensive research and stayed in character nearly all the time while filming “Lincoln,” and it pays off: About halfway through the movie, I stopped seeing Day-Lewis and only saw Lincoln. I doubt the Academy will give him a third Best Actor Oscar, but it’s certainly a performance deserving of one. Many of the secondary male actors, including Tommy Lee Jones as Senator Thaddeus Stevens and David Strathairn as Secretary of State William Seward, are also excellent. The supporting cast includes a large number of character actors, but I won’t mention them because it’s fun to recognize them as the movie progresses (I call it playing a round of “Who’s Under That Beard?”). The one misstep in casting is Sally Field as Mary Todd Lincoln. Her acting is good, but she just turned 66 and in “Lincoln,” she looks it. She’s unbelievable as the mother of a son who can’t be more than 12. I overheard members of the preview audience complaining that “Lincoln” was “cheesy” (their words, not mine), to which I say: This is Spielberg! What did you expect, cynicism? Spielberg’s work is always good-hearted, always straightforward, always values-oriented. “Lincoln” is no different. And that’s not a bad thing. As I sat in the theater and watched “Lincoln” the week before the election, I was proud of my country. And I couldn’t wait to go vote. “Lincoln” opens today (Friday, Nov. 9). Check out the trailer at http://www.youtube.com/watch?v=KJVuqYkI2jQ, then go see it.